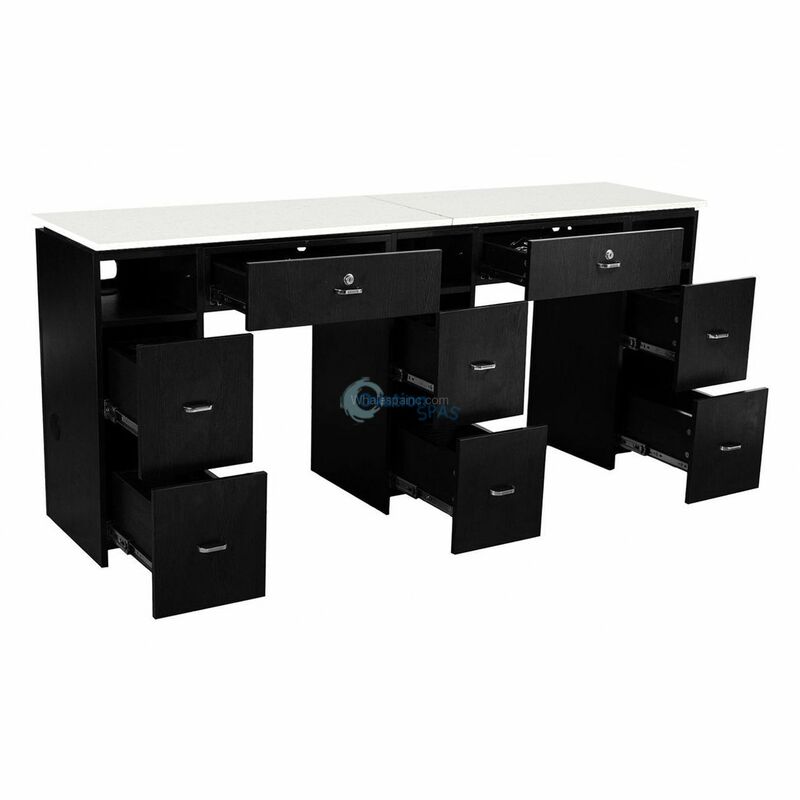 This sturdy double manicure table offers two work stations while having a custom look as well as saving space at only 70 inches in length. The smooth, sparkled, and durable Corian top surface has plenty of room for your technicians to work. There are three UV lamp openings for uncluttered UV lamp use. Several openings in the top and sides to allow you to place power cords and other equipment where they are most convenient. 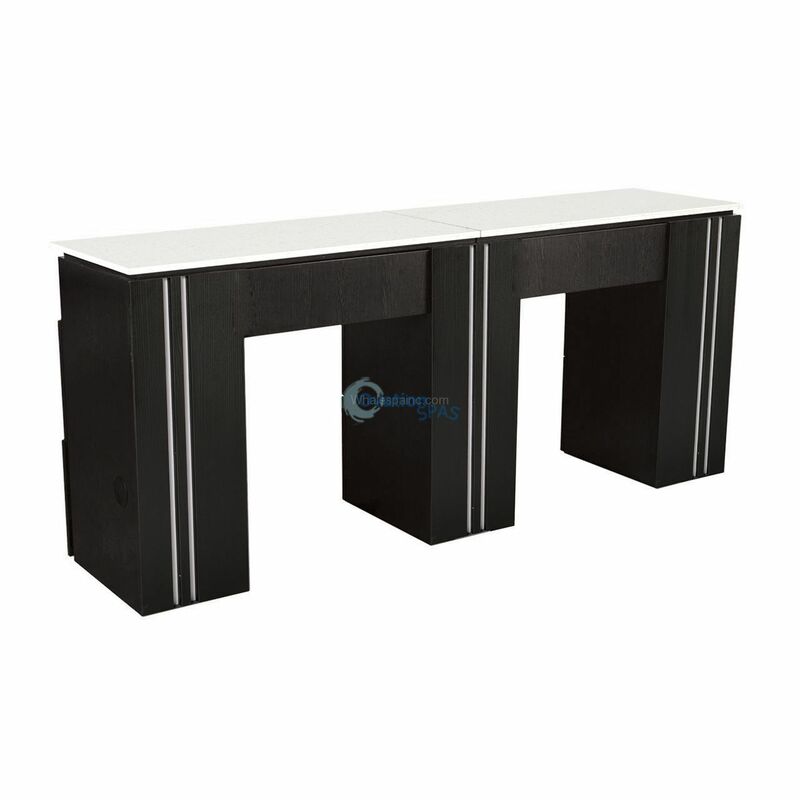 Solid construction and sturdy materials mean that this table will stand up to many hours of use. Dimensions: L 71" x W 15" x H 30"